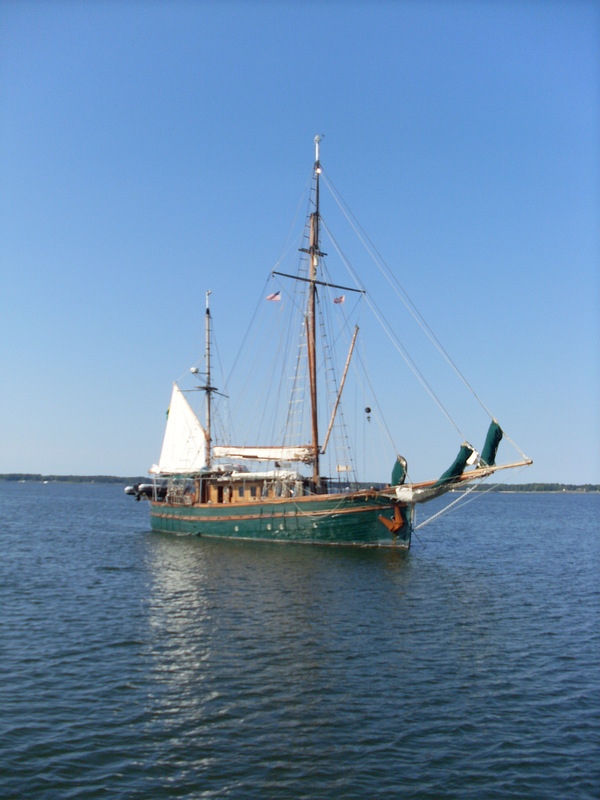 A Surprize Cruise | chesapeaketidings & more.. Being in the right place at the right time does sometimes pay off! 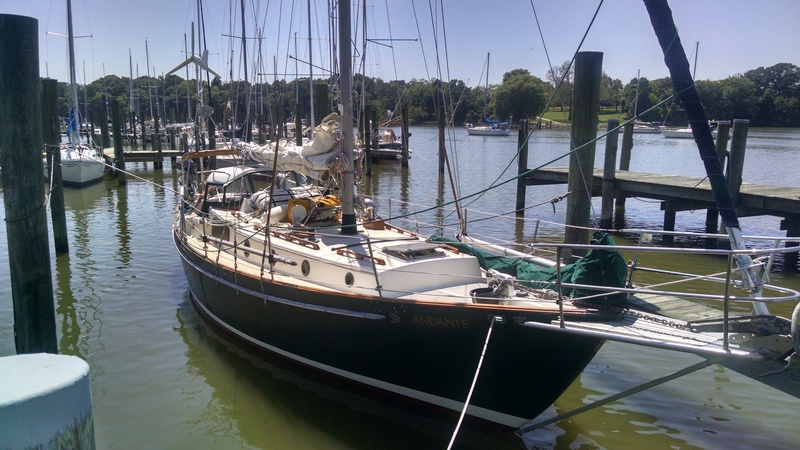 At a recent sailing club event I was fortunate to meet a new sailing friend with a Galeforce 34 [http://sailboatdata.com/viewrecord.asp?class_id=1989] berthed in Elizabeth City, NC. Seems he needed to move her up to the Chesapeake Bay. After a brief discussion – and a check next morning in the sober light of day – I agreed to help. That stretch of the AICW is a favorite of mine, especially the run though the Dismal Swamp. 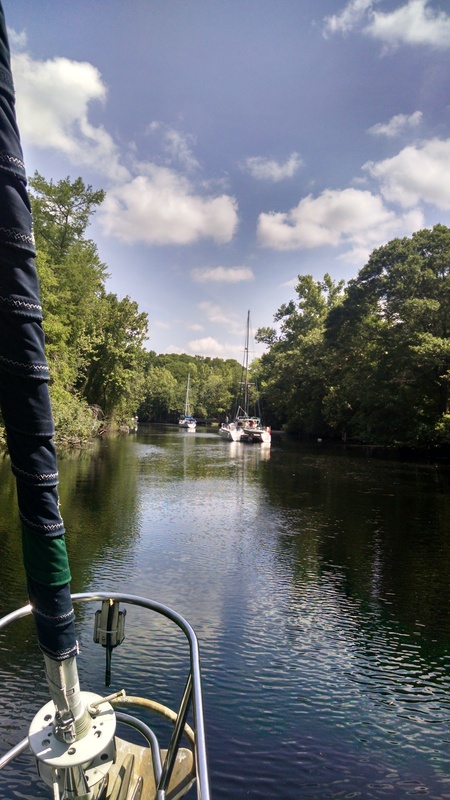 A rental car got us to Elizabeth City, and after checking water depths with the Dismal Swamp Visitor Center we headed north from Lamb’s Marina up the Pasquotank River. 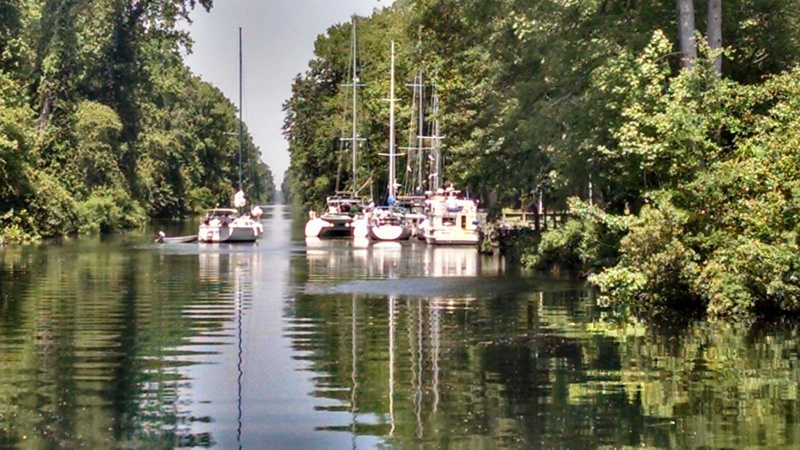 Always a pretty ride up the river and into the Dismal Swamp canal. Along the way we found other company headed for a stop at the visitor center. But first we needed to clear the South Mills lock – about an 8ft lift to the canal. Then it’s a short distance to the visitor center where all the other boats stopped. 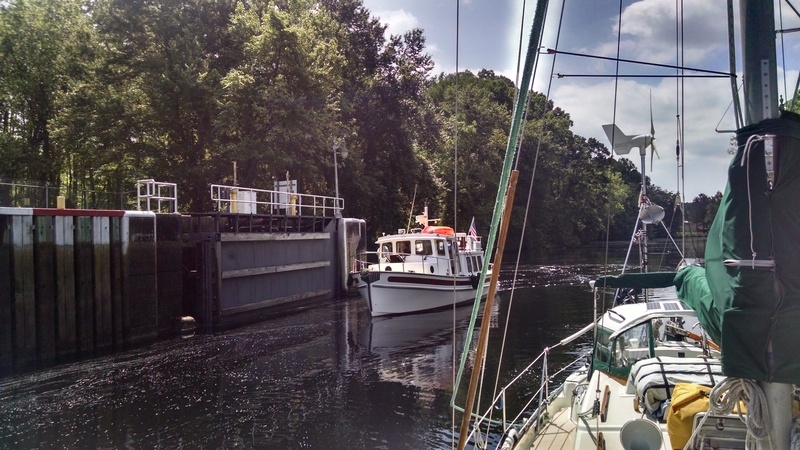 Given our planned schedule, we continued on through the canal to the north end and stopped at the Deep Creek bridge. The trawler from South Carolina passed us on the way and we found them waiting since they failed to make the last bridge/lock opening. The next morning we cleared the bridge and lock and made our way to Hampton Public Pier for the night. Gilmerton bridge opened for us as we approached and then we slowed to allow the outbound tanker to go ahead of us – seemed a prudent thing to do! It was a pleasant stop at Hampton and afforded an opportunity to have dinner with my daughter and her husband – a great meal at Marker 20. Then the weather began to create challenges. The first two attempts to leave Hampton across Thimble shoals failed. Short period, 3-5ft waves proved too steep. But we found a better path nearer shore and headed for Deltaville after dropping the original plan to go straight to Solomons. The weather delays made that problematic. 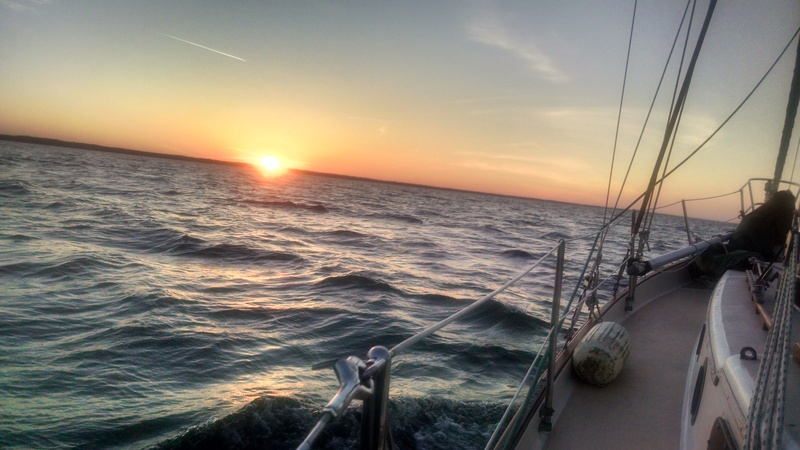 We anchored in Fishing Bay by mid-afternoon and enjoyed a pleasant evening. It’s now fast approaching Memorial Day weekend, so we had company in the anchorage including this fascinating ship, named STYRR that has been around the world providing charter cruises. 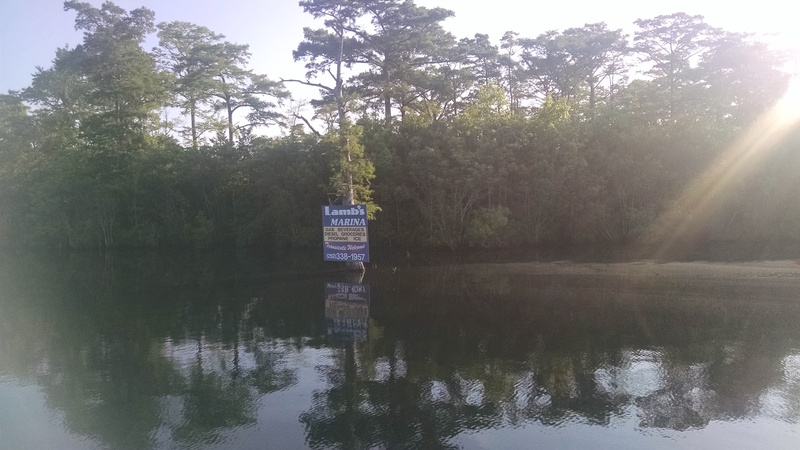 Leaving Fishing Bay, we headed either for Solomons or overnite to Annapolis. 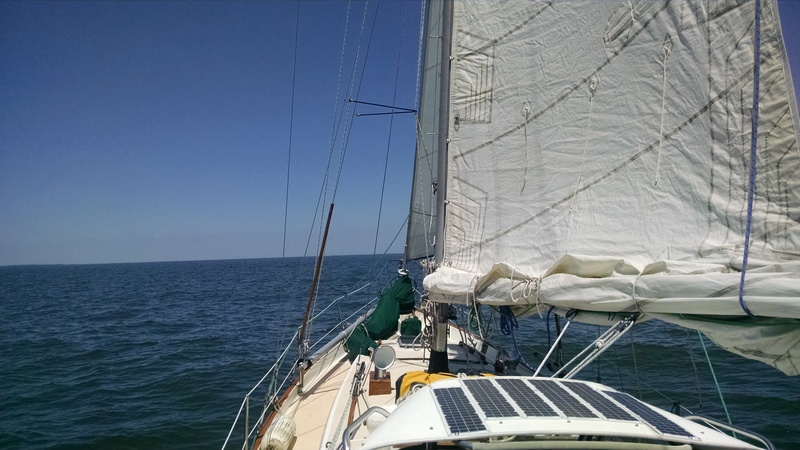 A helpful tide and south wind made the decision to press on for Annapolis. Night sailing is always interesting, and two south bound tugs/barges made it so. We got a VHF call as we passed Bloody Pt from one of the tugs suggesting we might want to take a 10-20 degree turn to Port in order to clear their intended route. Seems the two different AIS apps we were using failed to show either vessel as well as tankers at anchor off Annapolis. Then they were working again in the morning – puzzling. A good caution to be careful depending on such technology. We had the good fortune to have the loan of my neighbor’s slip in Back Creek and arrived about 2am. 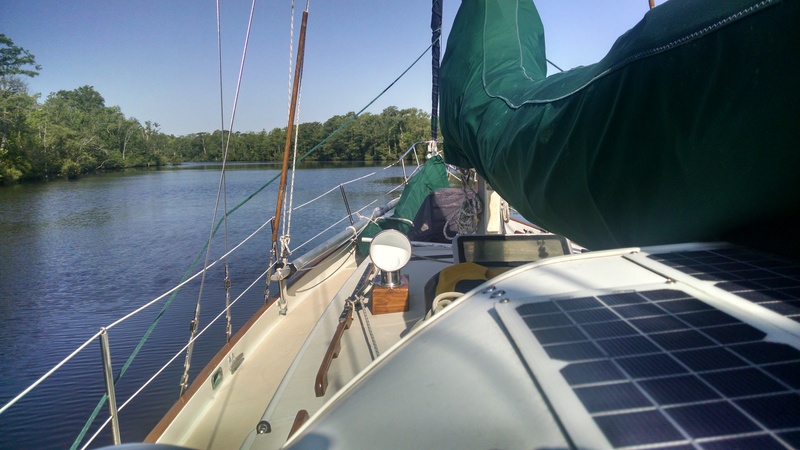 I had the luxury of sleeping on my own boat. 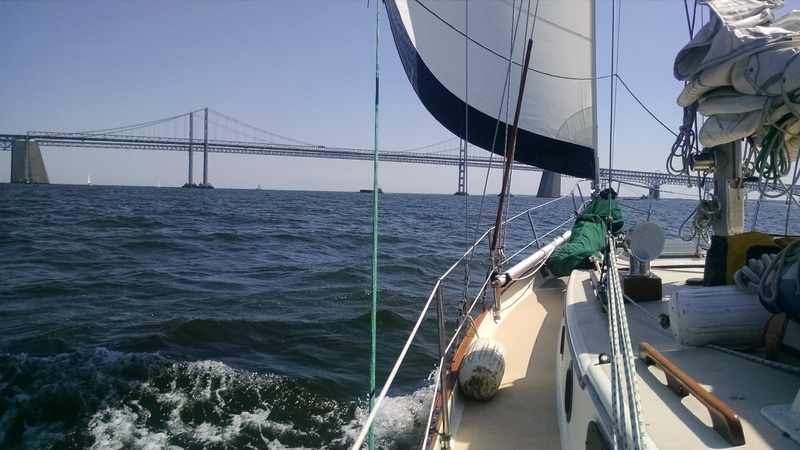 The it was a late breakfast at Grumps and another down wind run to Worton Creek clearing the Bay bridge about noon..
Then into Worton Creek – the final destination. All in all, a great trip with good company on a terrific boat! Enjoy the trip – be safe!